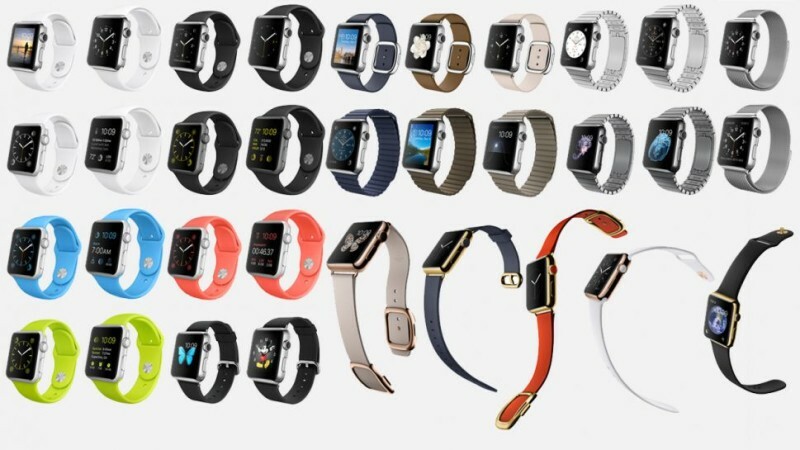 Apple revealed some new details on the Watch during the Spring Forward special event held at the Yerba Buena Center for the Arts in San Francisco, California. The company spoke about the Watch’s battery life, pricing, apps and availability. We’ve all been waiting to find out how Apple has priced the Watch Edition models, since all we knew so far was that the Watch starts at $349. Turns out, the Watch Sport is the cheapest of all and costs $349, whereas the Watch Edition is the most expensive of all costing $17,000. This is so because the Watch Edition is made of 18-karat Gold. Pricing for the bands were also detailed, with the Sports band starting at $49 and Stainless Steel band costing $449. Apple also spoke about the battery life, which has been another feature that everyone has been waiting to know. According to the company, the Watch can last for up to 18 hours on a single charge. Turn on Power Reserve mode and you should be able to view the time on your smartwatch for about 72 hours. Of course, Apple conducted a very scientific test to have arrived at these results. 18 hours of usage was achieved when the Watch was used to check the time 90 times per day, check 90 notifications, spending 45 minutes in apps and doing a 30-minute workout with music playback from the Watch via Bluetooth. Apple also mentioned that the Watch will provide up to 3 hours of talk time and 6.5 hours of Audio playback via Bluetooth. 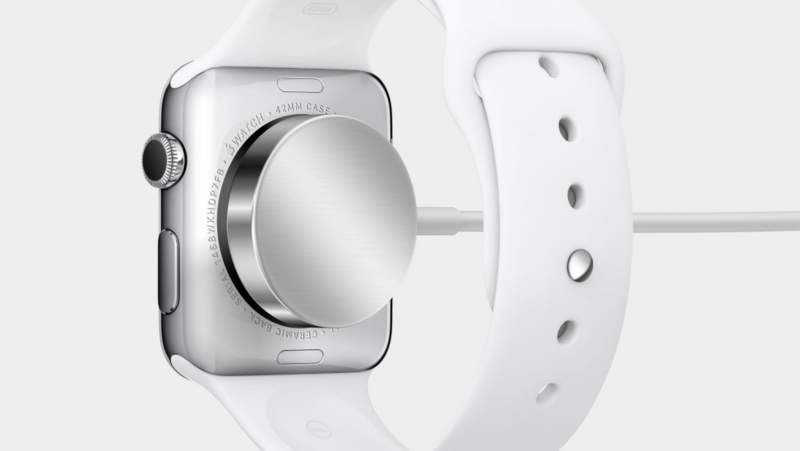 The Watch will require 2.5 hours to completely charge and 1.5 hours to charge up to 80 percent. 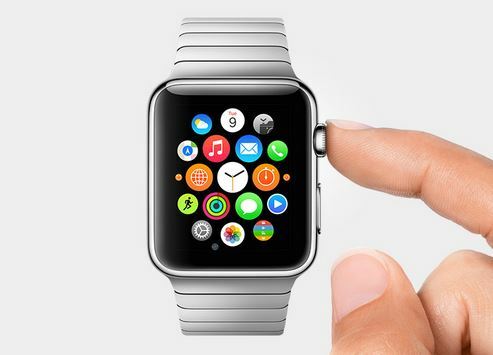 The 42mm Watch will provide longer battery life. The company also noted that the Watch will only be Water resistant and not waterproof. So yeah, try not to swim while wearing your Apple Watch. Also, no surfing! You can speak Hey Siri to invoke Siri on the Apple Watch and ask it to do stuff. To do most things, except show the time, you’re going to need an iPhone, specifically an iPhone 5 or later. 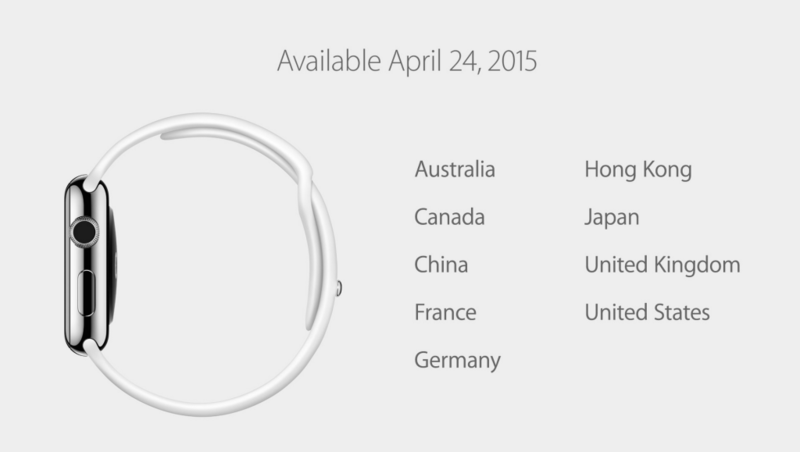 The Apple Watch will be available to pre-order starting April 10th and will be available in stores on April 24th. As of now, the launch will not be worldwide, but only ranged to a couple of countries. Once again, the Watch Sport starts at $349, the Watch starts at $549 and the Watch Edition starts at a whopping $10,000.